Every evening your guide has a reservation ready for your group to one of our favorite restaurants in the area we're staying. ​At Japan Ski Tours, we think that skiing is about more than just skiing--especially when you're in a country famous for it's culinary delights. As a guide company run and operated by guides who have years of experience living in Japan, we're excited to guide you to the best possible food in the evenings. We choose restaurants based on what food is regionally famous in the area and personally tested for authenticity by locals and our guides. ​The below day-by-day food guide, describes the types of food we have prepared on this trip. Due to restaurant days off, the exact meal schedule may vary from trip to trip. 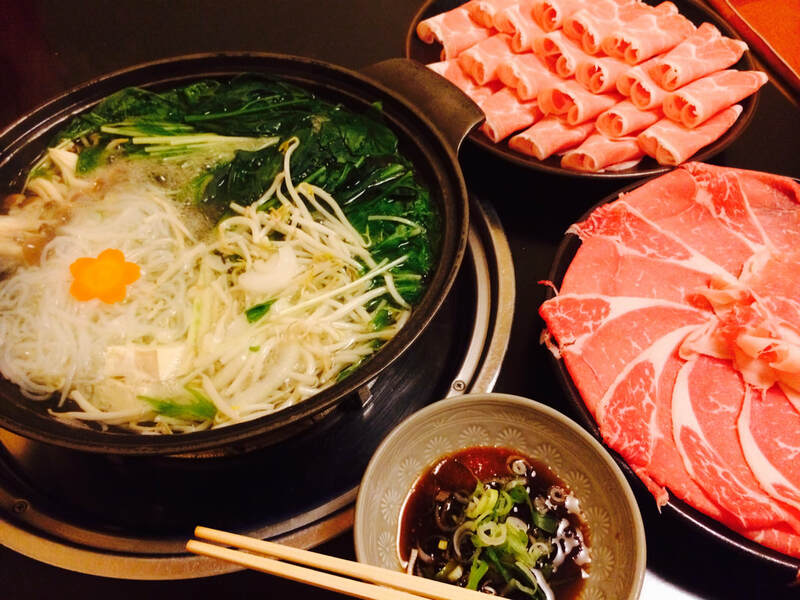 Shabushabu is the sound this meal makes when its getting cooked. Also called "hot pot" a pot of hot broth is placed on the table in front of you. You then take the provided thinly sliced meats and flash-cook them in the heated broth. Like many meals in Japan, this one is served "family-style" this means that everyone shares from the same pot. Veggies and rice also come with the meal. Not a friendly meal for: vegetarians, pescatarians, gluten free, vegans. See the "dietary restrictions" section below. On day 2 we hit another "must eat" of your Japan food trip. Yakiniku literally means "grilled meat" and is a skiers hardy dream come true. High quality raw meats are cooked as a community effort at charcoal grills embedded in the table. A huge variety of high quality beef and pork cuts are available on the menu and are grilled by you and your comrades to perfection. Sides include veggies, bibimbap (Korean style rice-based goodness), rice and salad. Many westerners are familiar with the popular form of Japanese cooking, Teppanyaki. 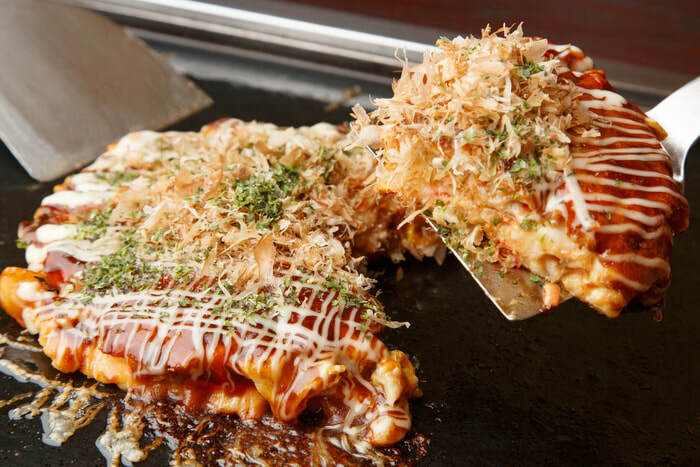 "Teppan" meaning iron plate, and "Yaki" meaning to grill, is a form of cooking various savoury deliciousness, including meats, okonomiyaki, yakisoba, etc. A true soul food and one that will be sure to hit the spot after a hard day on the ski hill. We'll grab our sushi from one of the most well known institutions in Otaru--a quick walk from our hotel accommodation. This town is famous even among Japanese for the quality of its sushi, especially Uni (sea urchin). But it serves all the usual foods you'd expect from a good sushi joint; the highlights being the various cuts of very fresh tuna, delicious salmon and pretty much any other living and edible thing you can grab from the abundant Sea of Japan. Not a friendly meal for: vegetarians, pescatarians, gluten free, vegans. See the "dietary restrictions" section below. This is a friendly meal for pescatarians and gluten free folk! We'll head to another well known institution in Otaru that specializes in serving Soba noodles. Served in a traditional atmosphere, these buckwheat noodles are healthy and filling and a great way to finish off the day. 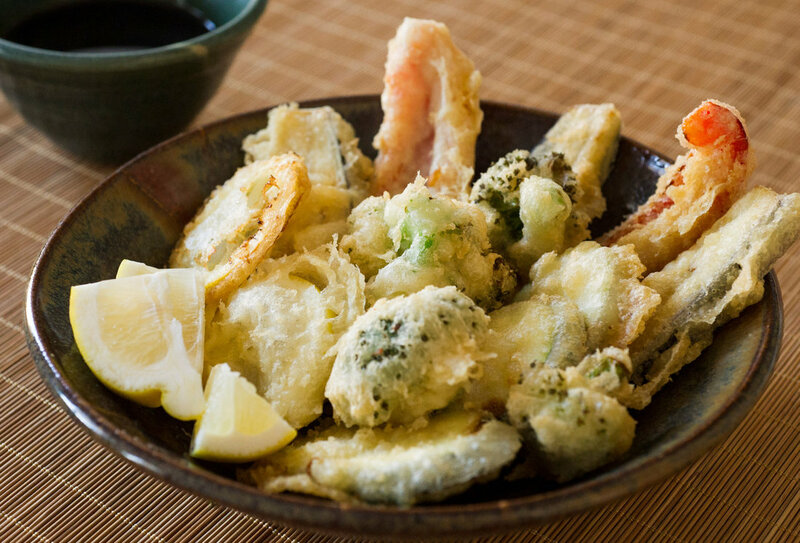 Day 6 is a delicious tempura meal at a small local shop in town run by just two workers. This local favorite only fits 9 people and is some high quality, lightly fried vegetable and seafood goodness. We specialize in providing a local culinary experience that meets a variety of price-points. We operate under the belief that well known restaurants and chefs are easy to find and experience, while a true local experience is what is difficult and sought after. As guides to these areas with years of experience, we've talked to locals and found some great gems that we've gotten great feedback on. If you're looking for a high-end "resorty" culinary experience (such as Michilen-Star restaurants or food by famous chefs) this trip probably isn't for you. ​​Note that participation in dinner isn't mandatory and isn't included in the price of your trip. If you want to have dinner on your own--no problem, just let your guide know which meals you are or aren't interested in at the beginning of your trip! 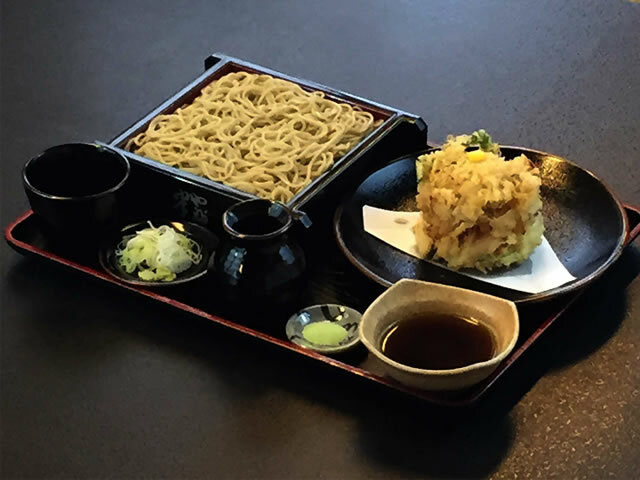 ﻿﻿At JST we believe that skiing Japan and cultural experiences aren't mutually exclusive--that's why we try as much as possible to give you authentic food options. Unfortunately however, in Japan it's pretty much impossible to have an authentic culinary experience with dietary restrictions such as gluten intolerance and veganism, even pescetarians and vegetarians have a famously difficult time.